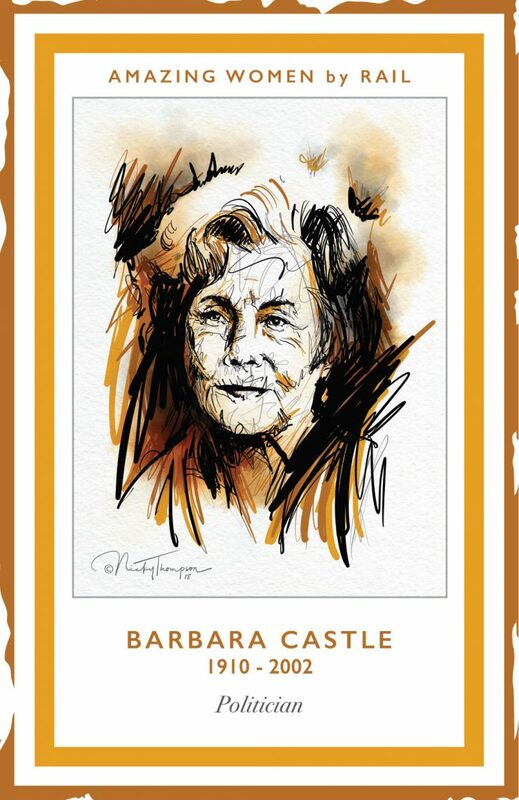 Barbara Castle (1910 – 2002) was a politician. Barbara was born in Chesterfield and brought up in Yorkshire. She joined the Labour Party as a teenager and became more involved in politics at Oxford University. Barbara was elected MP for Blackburn in 1945, a seat that she held for 34 years. Barbara served as Minister of Transport and Employment. After leaving Parliament, she served in the European Parliament for ten years. In 1990 Barbara was made a life peer, Baroness Castle of Blackburn.